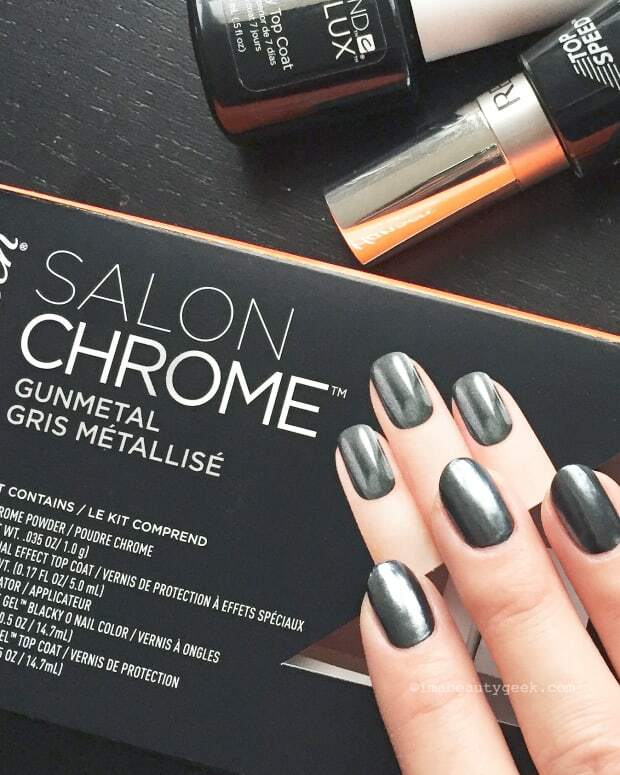 Nope, you don't need a kit to play with chrome powder for that mirror-chrome finish. 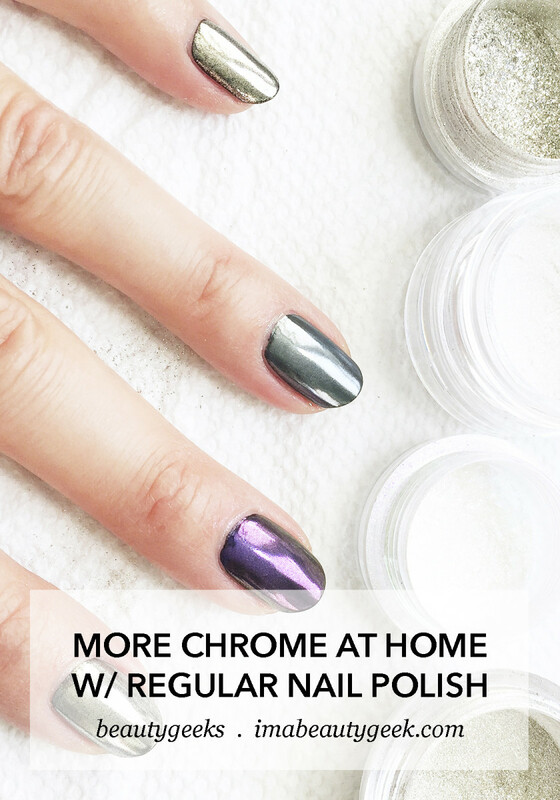 Here's how Manigeek's chrome-at-home technique worked with a variety of polishes, from CND Vinylux to Chanel to Revlon, and powders from Sally Hansen and Essence. We&apos;re back with more chrome-at-home play, this time with a range of polish shades from Manigeek&apos;s archives and chrome powders from a couple of different sources as well. And apologies for the shaky camera work in spots – we got a bit silly. Our videographer (yeah, it&apos;s Janine) promises to do better next time. Once again, as per our previous post/video, Karen eschews sponge-tip and silicone-tip tools for a far superior chrome-powder tool: a fingertip. And we ooh and ahh over the beauty that is Essence Blossom Dreams Rosy Reflections powder, as well as Essence Mirror Effect pigment (thank you lovely Ange, who sent them to Manigeek from the Netherlands). Catch the video below; geeky application tips are all in our recap in this post. You can still get some of the Sally Hansen chrome kits at walmart.ca and amazon.com, and maybe in Ulta stores (they&apos;re sold out on ulta.com), but unfortunately for us in North America (unless you have a lovely friend like we do), the Essence Blossom Dreams elements are only available via the brand&apos;s European website. And if you want to explore chrome powders, amazon.ca and amazon.com have all kinds – good luck with your playtime!